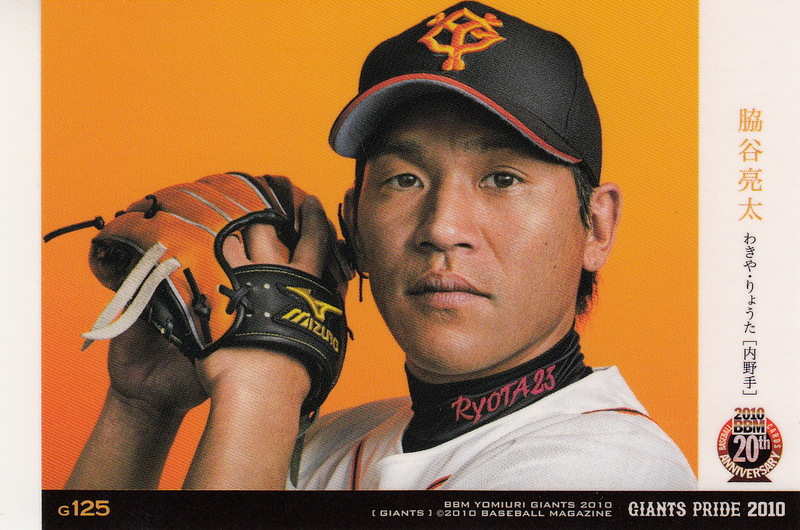 The Giants beat the Carp today in extra innings with a Sayonara single by Shinnosuke Abe scoring Hisayoshi Chono in the bottom of the eleventh. Helping to set up the winning run was a double by Ryota Wakiya that scored Kenji Yano with the tying run. The set is 96 cards, which off hand I think is the smallest number of cards in this set ever. 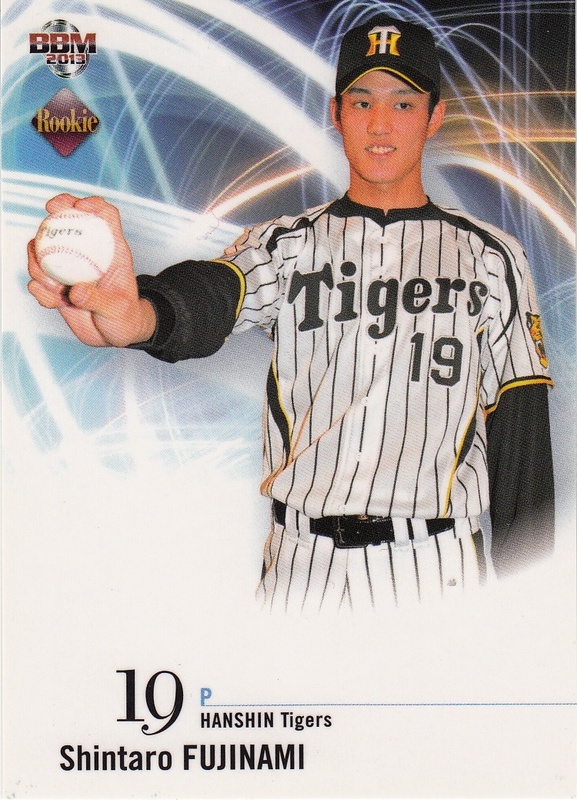 83 of the cards feature players taken in last October's draft, including the afore-mentioned Ohtani, Sugano and Fujinami. 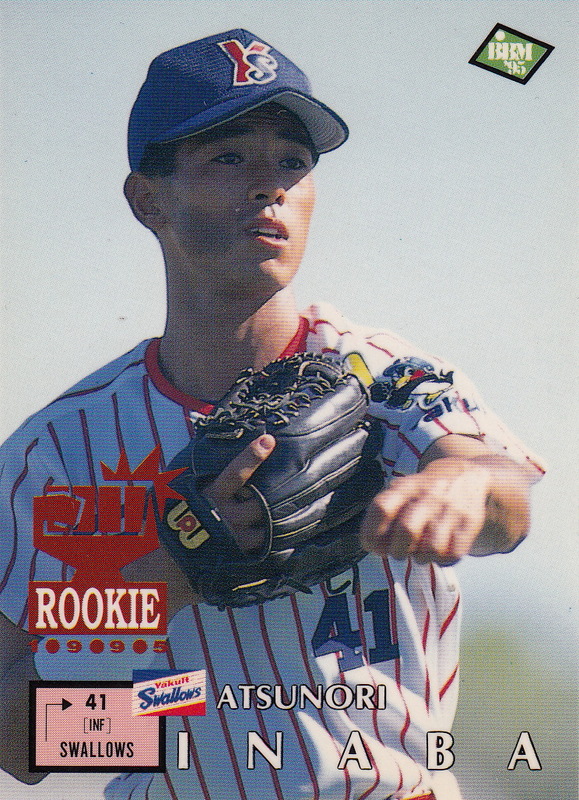 The draft pick cards are pretty much like all the other draft pick cards in the previous Rookie Edition set - posed shots of the players holding balls or bats, making "guts" poses or faking a pitching motion. I think the poses are a little more vanilla this year than most - no one doing the splits, no one playing "air violin", everyone in their team's uniform rather than a suit. 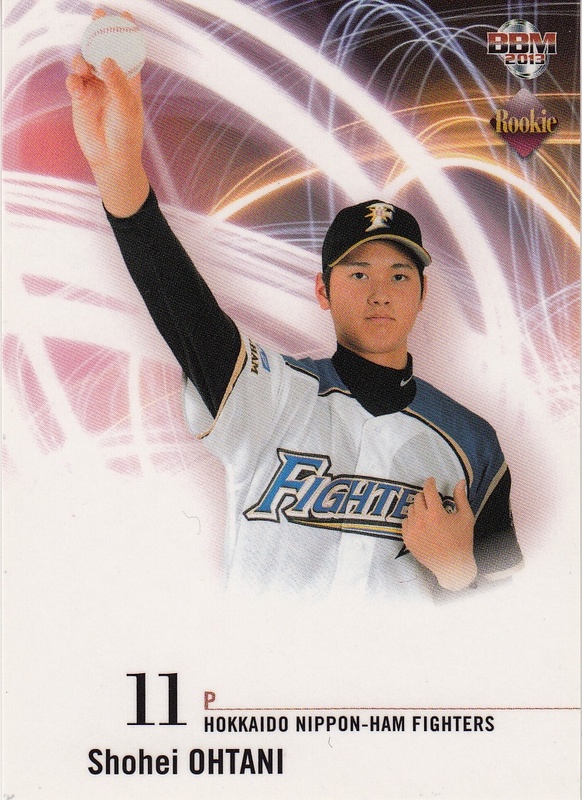 About the only oddity in the set is that because Ohtani and the Fighters have been toying with the idea of him being a two-way player, BBM included two cards of Ohtani - one with him "pitching" and one with him holding a bat. 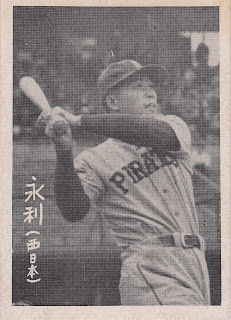 Both cards have the same number (#42) but it appears that both are treated as equal parts of the set - the set contains 96 cards that are numbered 1-95 with an extra card 42. There's a one card checklist listing all of the draft pick cards (although only listing one card for Ohtani). Unlike previous years, the card doesn't show any pictures of the players - it's just a straight checklist card. 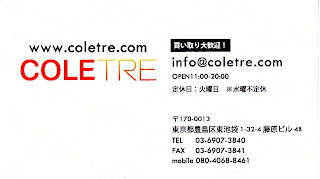 Like Coletre, Discount Niki is an on-line store that has a brick-and-mortar store. 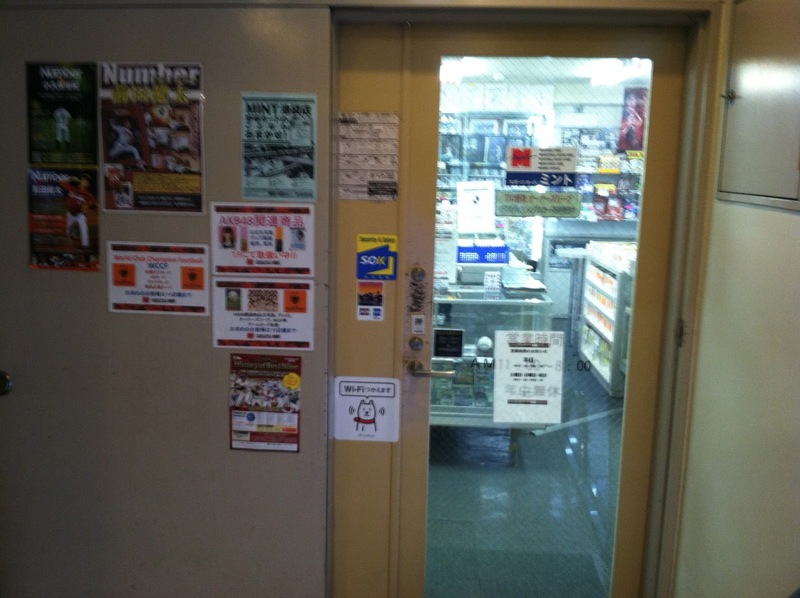 While I've known about the on-line store for years, it wasn't until a couple months ago that I realized they had an actual store front - I finally took a close look at their ad on the back of EVERY issue of SportsCard Magazine. 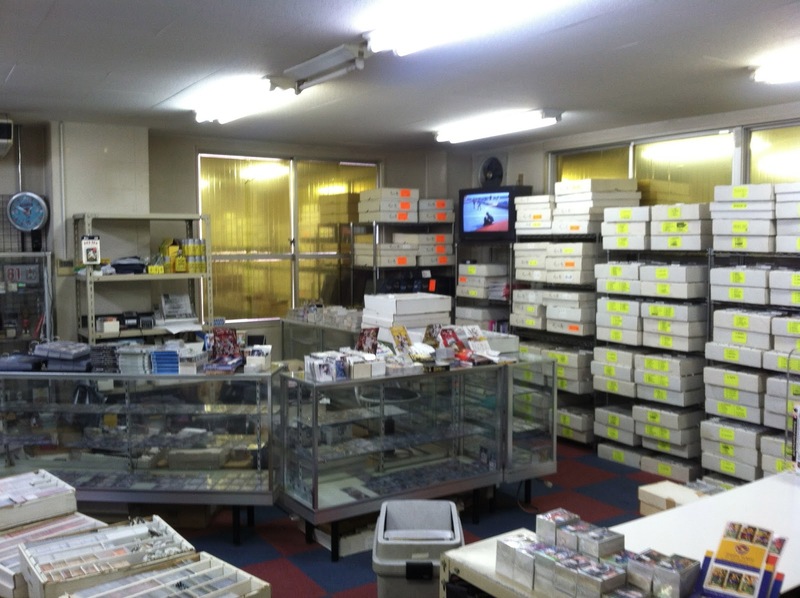 The store is nestled into a maze of shops just north of the Okachimachi train station. Ryan and I braved the crowds on a busy Sunday to check it out. Just a few blocks south of Niki, however, was another little store called G-Freak (as far as I can tell, they don't have a website. Googling "G-Freak" will give you some very interesting, NSFW results). 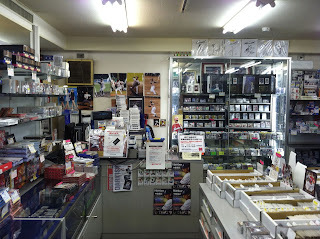 This store is on the second floor of a building at 5-17-10 Ueno. They actually had a Ray Lewis Baltimore Ravens jersey in the window - made me feel like I was home in Maryland. 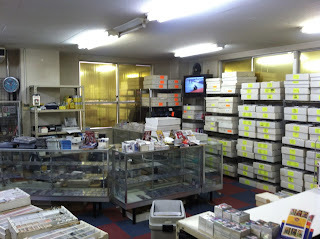 This little store was PACKED with cards. The downside for me was that they weren't particularly well organized. 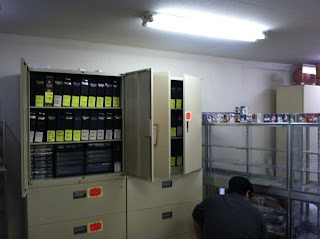 The store had most of their singles organized by team rather than by set. Great for browsing but not so great for set building. 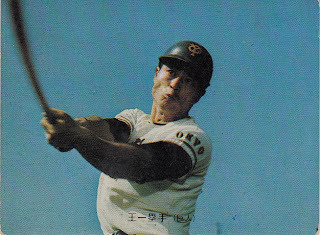 Still, they had a lot of interesting stuff, including some of the larger Yamakatsu cards from the 1970's and more 1970's Calbees. 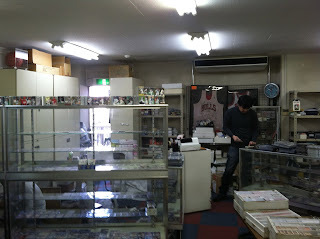 I had brought some vintage Japanese cards with me to trade and with Ryan's help, I was able to negotiate a trade here. I gave them a bunch of 1994 Calbee Hokkaido cards, some of the larger 1970's Yamakatsu cards, an empty Calbee binder from 1974 featuring Shigeo Nagashima's retirement ceremony and a bunch of pins from the 1977 Yamakatsu Badge set. 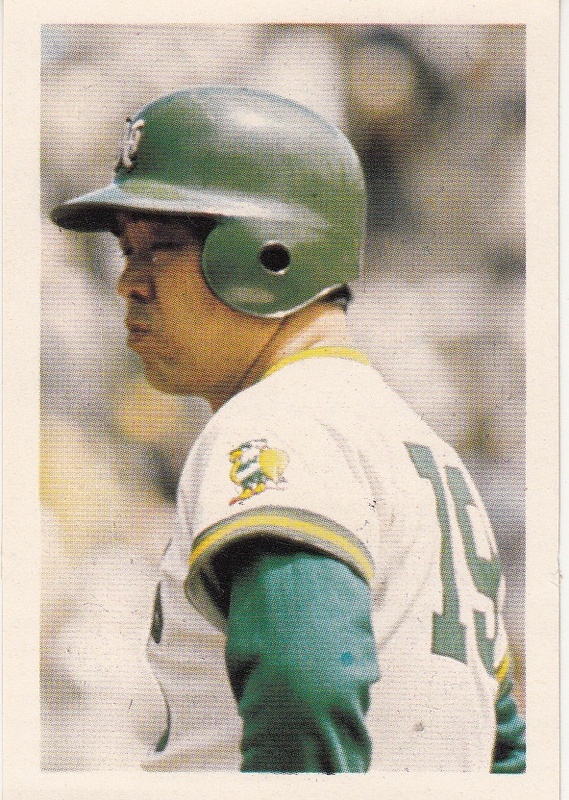 In return I received a bunch of 1978 and 1981 Yamakatsu cards, a box set containing the gold signature parallel issue of the 1999 Calbee Series 3 set and some other old Calbee cards. The store probably came out ahead on "book" value but since most of the cards I had I had picked up fairly cheap over the years and had been just sitting around my office, so I'm still pretty pleased with the deal. 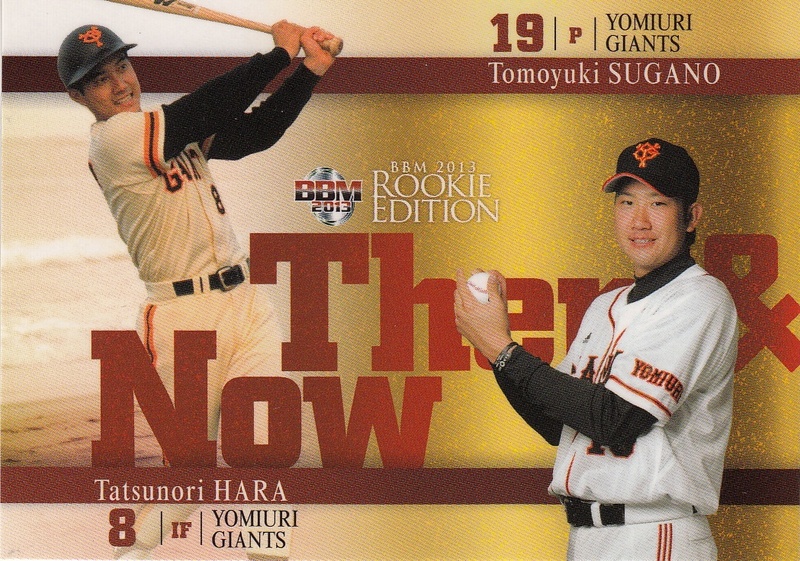 The store keeper also threw in a bunch of cards from the 2010 BBM Giants set's "Pride Of The Giants" subset as a gift. 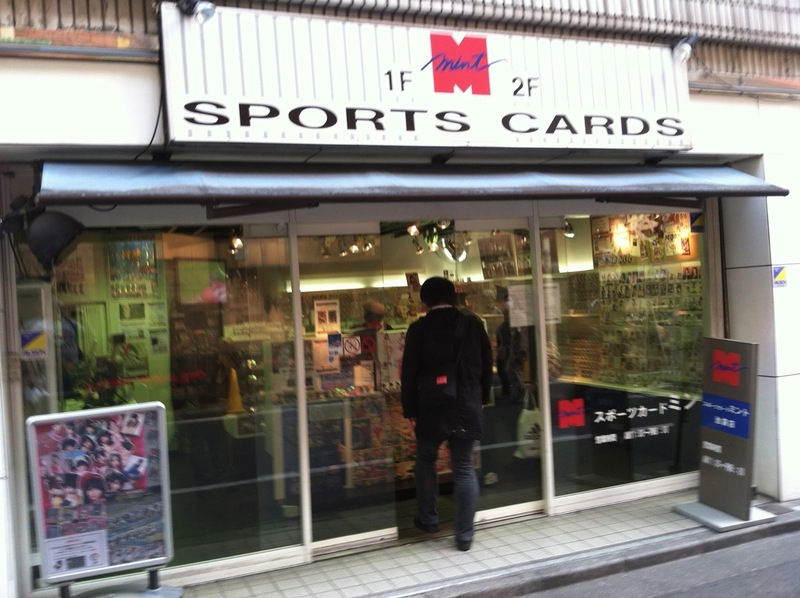 So this sums up the second day of card shopping - Ryan and I also went to Nakano Broadway and Quad Sports before going to these two stores, but we didn't end up doing any card shopping at Nakano Broadway as the crowds kind of put me off and I talked about Quad Sports previously. I have to say that this day was a bit of a let down after Saturday but Monday would more than make up for it. I'll talk about that in the next post. 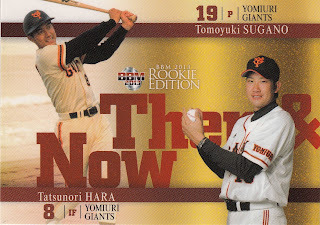 This week I'd thought I'd show off two more cards that I picked up in Japan. These are both from the huge 1975/76 Calbee set (1472 cards in all). 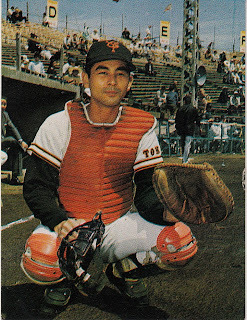 The first card is Sachio Kingusa (#972). The second is Hiroaki Inoue (#397). Sorry to interrupt the stream of posts about my trip (now that I've finally started doing them) but BBM waits for no man. There's four sets that have been announced in the last few weeks that I haven't gotten around to mentioning. They are all being released in the next week. - The first two team sets for 2013 are for the Eagles and the Hawks. 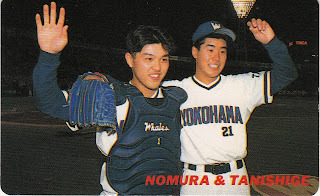 Both are packed based sets featuring 99 cards (I think) in their base sets, along with various insert, autograph and memorabilia cards. 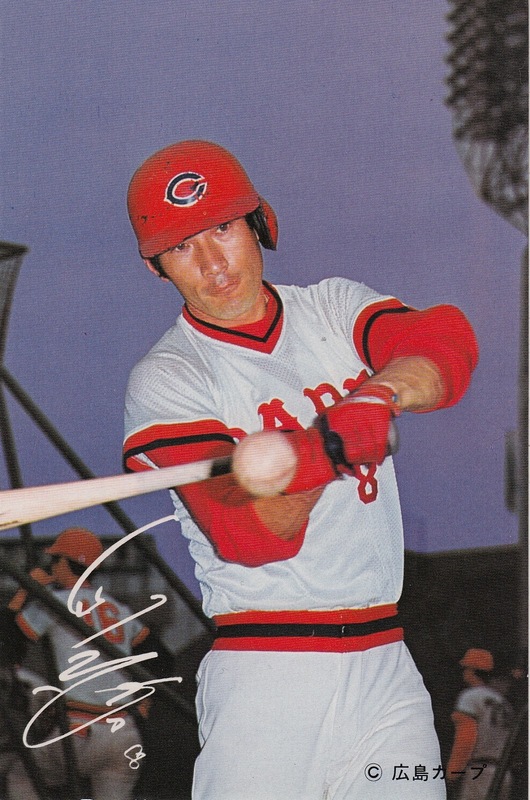 It doesn't look like the "CROSSWIND" cross-over set is included in the base set for the team sets but there is a related autograph card subset for it. (So the "CROSSWIND" base set should only be in the flagship sets - 1st & 2nd Version and probably in the high end set.) 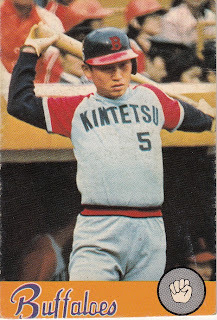 BBM did not continue to use a vintage card design for the Hawks set, opting for a more standard looking BBM set. The webpage for the Eagles set doesn't show what the base cards look like. - BBM is putting out a 28 card box set called "Icons - Hope" that features rookies. The web page implies that this is a new series for BBM - perhaps it is replacing the "Diamond Age" sets from the past two years as it looks very similar. There are 27 "regular" cards in the set along with a "special" card - either a die-cut card, a facsimile autograph card or a real autograph card. 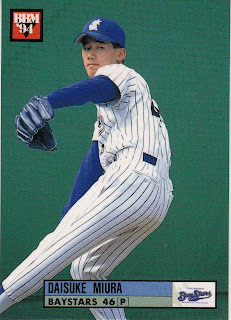 - To commemorate Hideki Matsui's retirement, BBM is issuing a 37 card box set entitled "Memories of 55" that includes 36 base cards and a ridiculous slew of possible "special" cards. 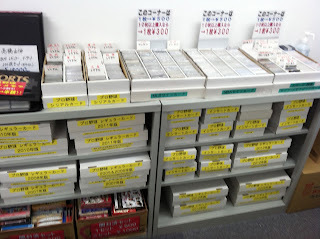 I ended up going to nine cards shops in Tokyo over a three day period, plus another card shop in Yokohama a couple days later. I'm going to do a series of posts summarizing them over the next few days. 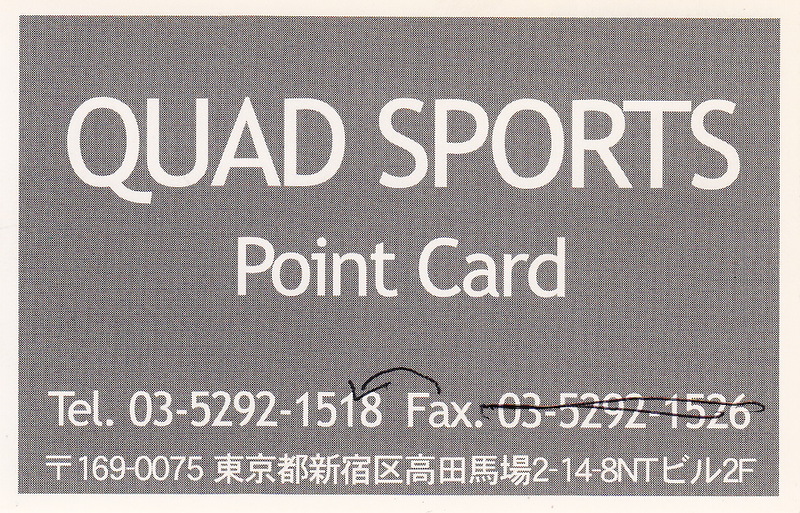 Quad Sports is a little shop hidden away on the second floor (I think) of a building maybe a block or so away from Takadanobaba station on Waseda dori. Ryan had located this store a few months ago and told me about it. I took this picture before I actually found the store, thinking it was in the building with the sign with the pig and chicken (a Korean barbecue place I think). Turns out that they're actually in the building to the left, but for some reason, I never took a new establishing picture. 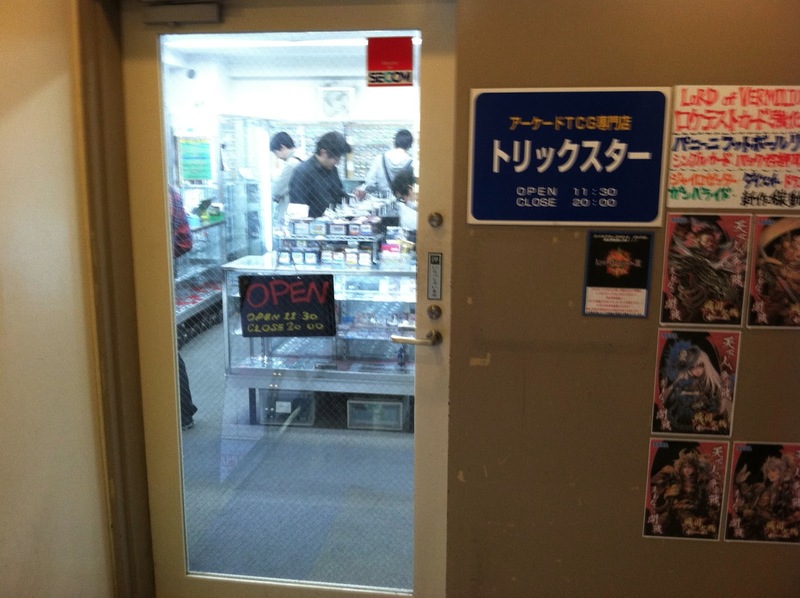 Probably too excited to actually be in a place that sold Japanese cards. 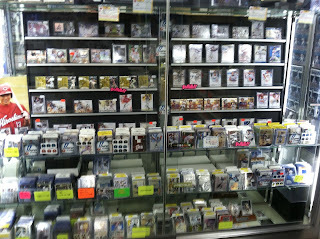 It took me a couple minutes to find them since they weren't in the building I thought they were, but once I located them, I walked in and a big smile broke out on my face when I saw all the boxes of single cards available. These cabinets contain binders full of Calbee cards from the 1970's to the present as well as the more valuable BBM cards - rookies, inserts and parallels. Ryans says that their singles start at about 30 yen a card, cheapest he's found. I can't confirm this since I didn't really get a price break down of what I got. Beyond the singles, I picked up a bunch of Calbees and the parallel issue for the Epoch All Japan Baseball Foundation 1987 set that look like 1987 Calbees. 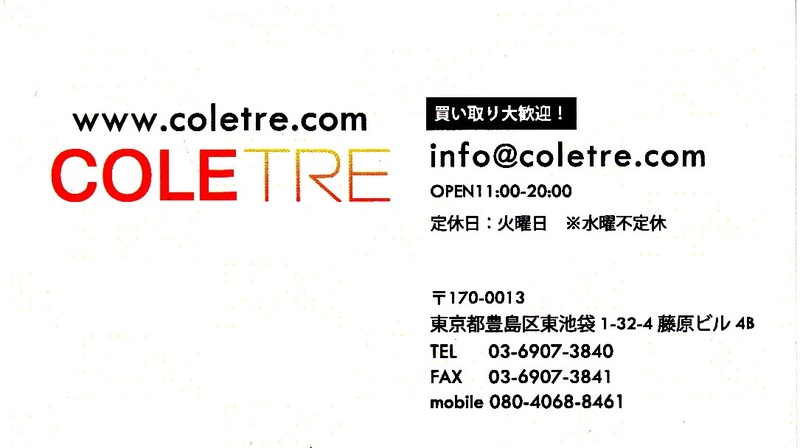 My total bill for Saturday was around 9000 yen. I don't quite remember how much I spent on Sunday but it probably wasn't much more than 2000 yen. Mint is a chain of about 20 card shops in Japan. I would eventually get to four of them - Ryan's been to several more. Their Ikebukuro store has been recommended to me by both Ryan and Deanna Rubin as the best in Tokyo, at least for finding single cards. 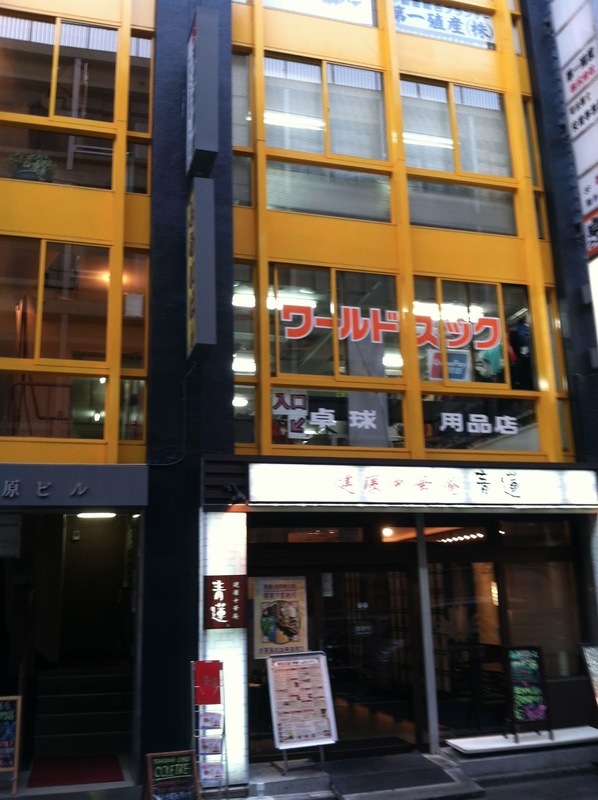 The store is located just a little way from Ikebukuro station (and actually is only about a 20 minute walk from Quad Sports if you're feeling like a little exercise). There's actually three distinct stores - one on the first floor that seemed to have a lot of more expensive stuff and two on the second floor. 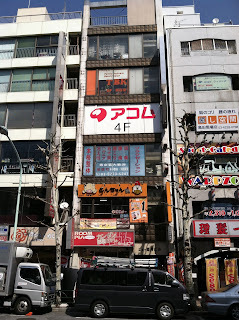 I looked around at the first floor shop briefly, then headed upstairs. When I got to the top of the stairs on the second floor, there was a store to the right and a store to the left. 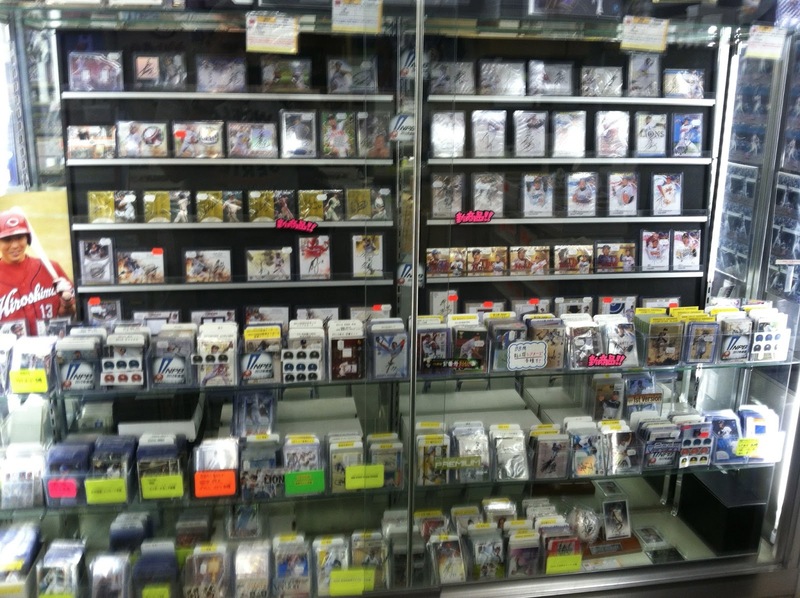 I went in to the store on the left and never made it into the one on the right - Ryan says it specializes in gaming cards. The shop was smaller than Quad Sports, but packed with lots of cool stuff. 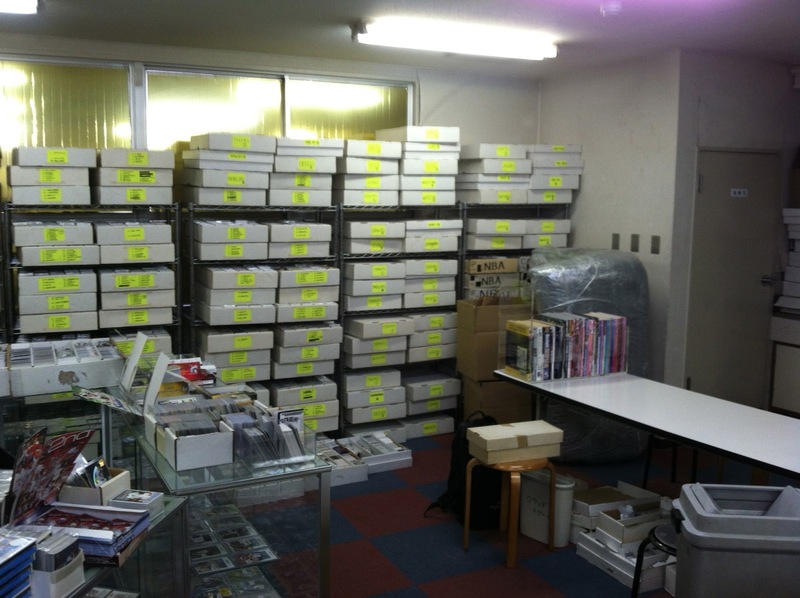 They also were a bit better organized with their singles - I didn't have to lift any boxes up to get to other boxes. 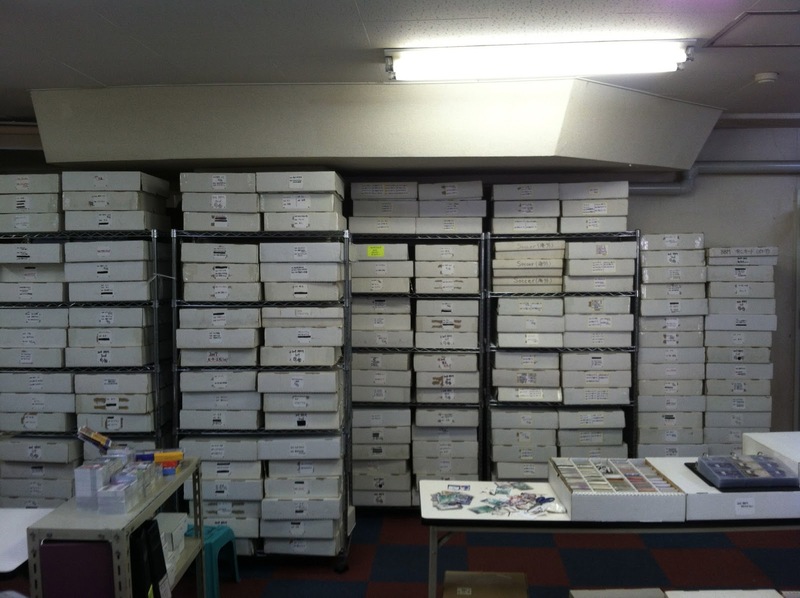 Again, I spent a couple hours here going through boxes of singles, especially their old Calbees. 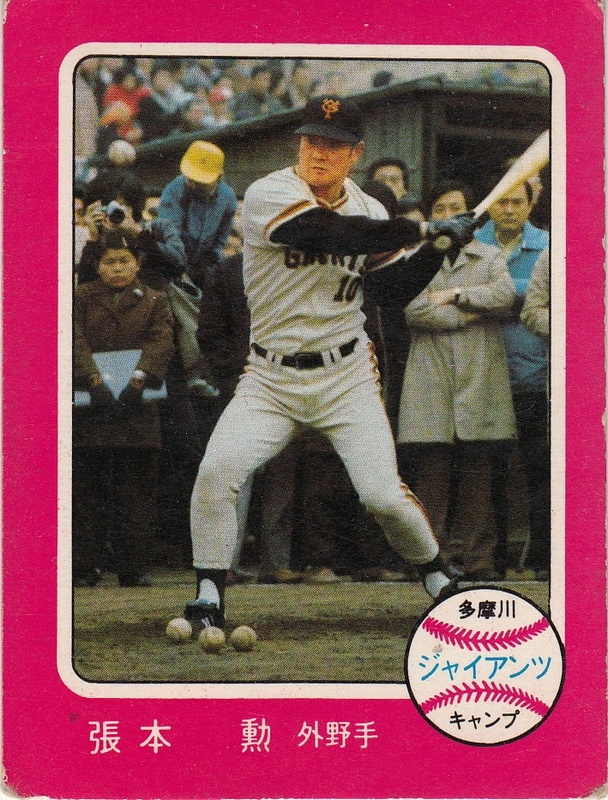 I had an incredible stroke of good fortune at this store - while I was there, Dean, an American who'd been living in Tokorozawa for the last 28 years came walking in to look at an old Calbee card of Shigeo Nagashima that the store owner had located for him. We got to talking (he thought he'd seen the blog) and he offered to translate any questions I had for the store owner. This was unbelievably helpful and I was able to locate some things that I was looking for. Beyond being helpful in translation, Dean was also a real nice guy with a lot of useful information, so I was very lucky to run into him. Again I'm not exactly sure what I paid for everything. 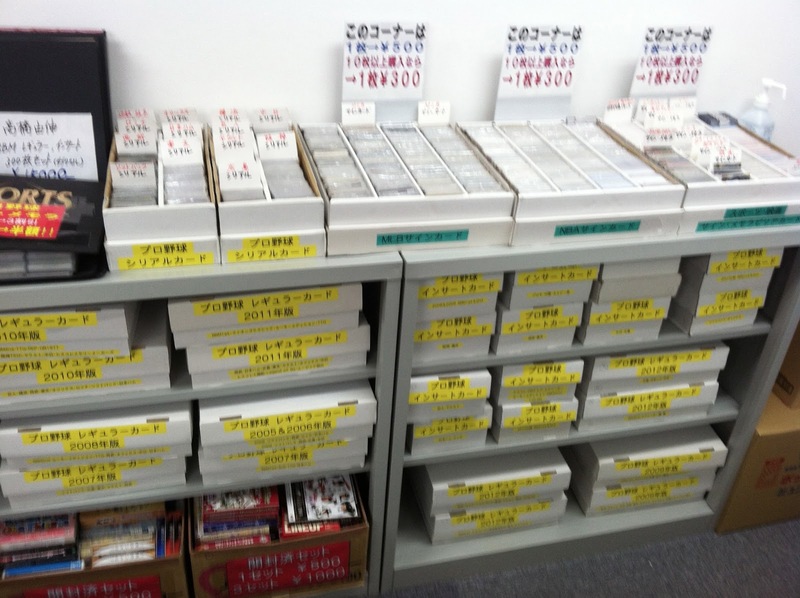 Ryan says that the single cards usually start at around 100 yen a card. I bought a BUNCH of old Calbee and other cards from the 1970's (including the 1973 Calbee Sadaharu Oh card) so I ended up spending around 15000 yen there. This was the most I spent at any one store. 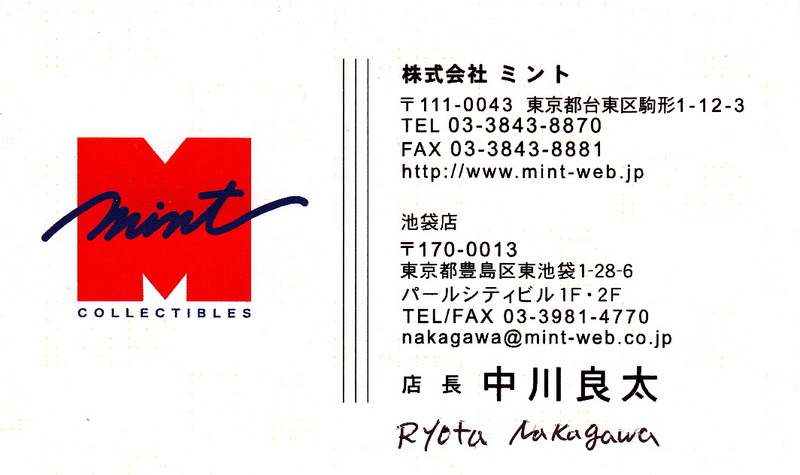 The store is located only a couple blocks away from Mint Ikebuburo. Dean was not aware of it when I mentioned it to him so he took me up on my offer to go there with me. And I was really glad he did, because it took a little doing to locate the store. I knew roughly what building, but there wasn't anything obvious that said where it was. Dean finally asked someone at a nearby bar and they told him how to find it. They are on the fourth floor of this building. The sign in the foyer has their name in katakana, which I wasn't able to read. 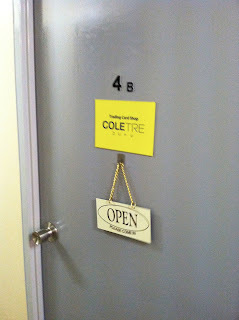 But I could read the sign on the door. 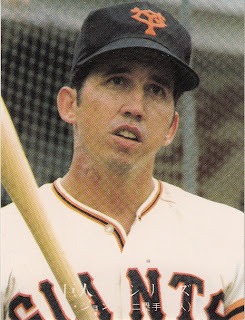 That wraps up my first day of card shopping. I'll have more to post soon. I apologize for the lack of posts this week. 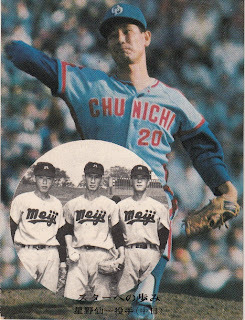 My sleep patterns are still a mess (staying up late to watch the final round of the WBC didn't help) and I've been busy in-processing the roughly 700 cards (seen above) I picked up on the trip. I also loaded all my pictures up to my Flickr account and I've made a very small start at labeling and organizing them. What I'd like to do with this post is give a quick overview of what I did on the trip (i.e. more bragging). 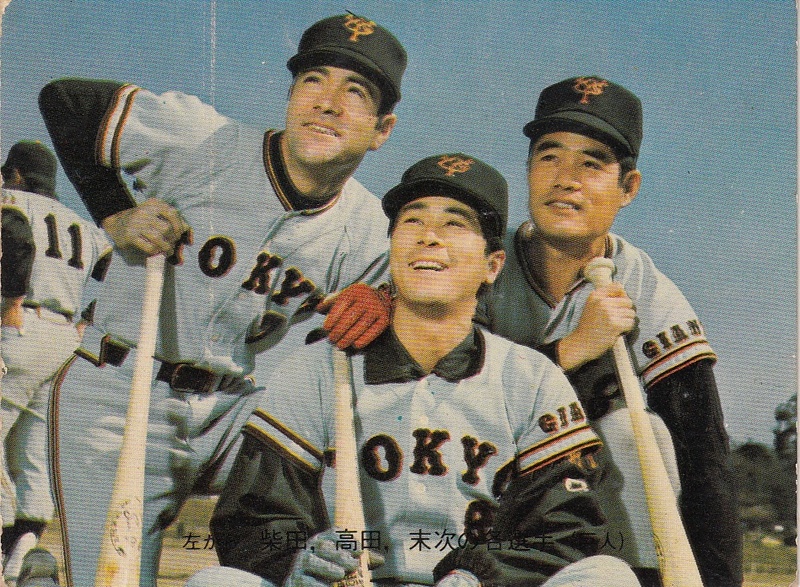 I'll follow up with some subsequent posts on the card shops and ballparks I went to as well as the Japanese Baseball Hall Of Fame. I'll also do a post on the nine box sets I picked up. I left from Newark Liberty Airport on Wednesday, March 6 on a direct flight on United to Narita. The scheduled flight time was 14 hours, but we were delayed about an hour leaving due to a mechanical issue with the tug that pushes the airplane away from the gate. Between that and the fact that we boarded the plane about 45 minutes before our scheduled departure time, I think I was on the plane for about 16 hours total. I arrived at Narita around 4:30 in the afternoon on Thursday, March 7. After getting through immigration and customs and exchanging some money*, I caught the Narita Express to Tokyo Station which took about an hour, putting me into Tokyo Station around 7-ish, just at the tail end of rush hour. I made my way to the Marunouchi Subway line for the 10 minute trip to the Korakuen station, right next to the Tokyo Dome. *Currency-wise, I don't think I could have picked a better time to have gone on this trip. Japan's government has been devaluing the yen lately so the exchange rate is better than it's been in the last few years. I was getting roughly 93 yen per dollar on this trip, much better than the 76 yen to a dollar that I would have gotten in late 2011. It's been about three years since the exchange rate was this good. 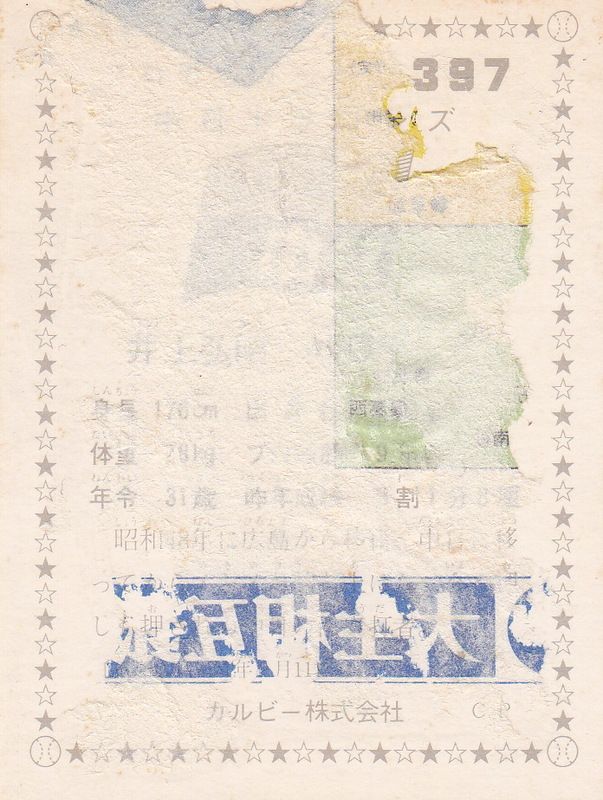 I stayed at the Hotel Wing International Korakuen, closer than a hop, skip and a jump from the Dome. Not the fanciest place in the world, but perfect for my needs. I walked directly to the hotel from the subway stop (thank you, Google Street View! ), checked in and dropped my suit case off in my room. Since this was going to be one of my only free evenings in town, I wanted to head over to the Bunkyo Civic Center to check out the nighttime view from their observation deck. I took some pictures that didn't turn out well, then headed back to the hotel to crash. After a decent night's sleep and a quick breakfast, I headed off to the Tokyo Tower once again check out Tokyo from a tall building. I still hadn't had my fill of views from above, so I then headed over to Shinjuku, to check out the view from one of the decks of the Tokyo Metropolitan Government Building. Heading over to the Shinjuku train station, I started to see the kinds of crowds that busy places in Tokyo attract on a weekend. 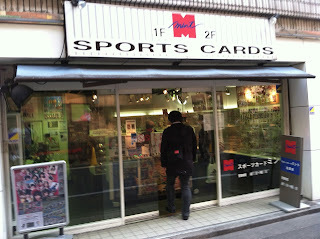 I took the train over to Takadanobaba to check out my first card shop, Quad Sports. 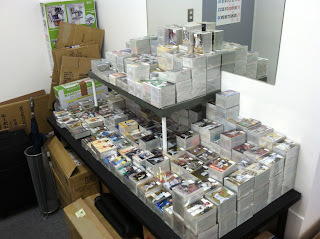 Following a couple hours there going through boxes of singles, I headed up to Ikebukuro to brave the crowds to hit two more card shops, Mint Ikebukuro and Coletre. 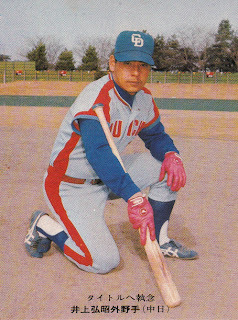 After a couple hours at the two stores (and meeting Dean, an American who had been living in Tokorozawa for almost 30 years who was nice enough to translate for me at both stores), I headed back to Bunkyo for the elimination game between Cuba and Taipei. Before the game, I was able to meet up with John Gibson for a bit of a longer conversation and got to meet his podcast partner Jim Allen as well. 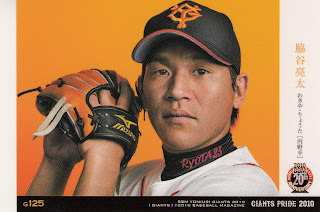 After the game, I got a cup of coffee with my friend Hiro, who has been my source for new Japanese baseball card sets the past four or five years and who I had never met in person before. All in all, an awesome day. The first stop for the day was checking out Shibuya, home of the famous Shibuya crossing and the statue of Hachiko the dog. I wandered around aimlessly for a couple hours until the area started getting really crowded and it was time to head out to Nakano Broadway to meet up with Ryan of This Card Is Cool. 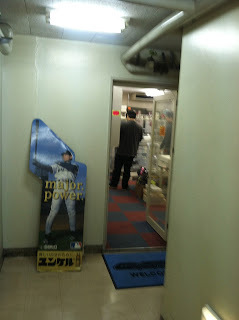 (And I saw my first "traditional" Japanese toilet at the Nakano JR station.) Nakano Broadway is a shopping mall specializing in pop culture stuff that Ryan's had good luck finding vintage cards at. Unfortunately, the crowds were large enough that they were really putting me off and I think one of the stores Ryan had found cards at before was not open. 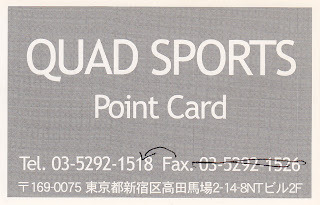 So we fairly quickly decided to head back to Quad Sports in Takadanobaba as I hadn't gone through their 2004 BBM 1st Version singles the day before and Ryan is always willing to spend time there. 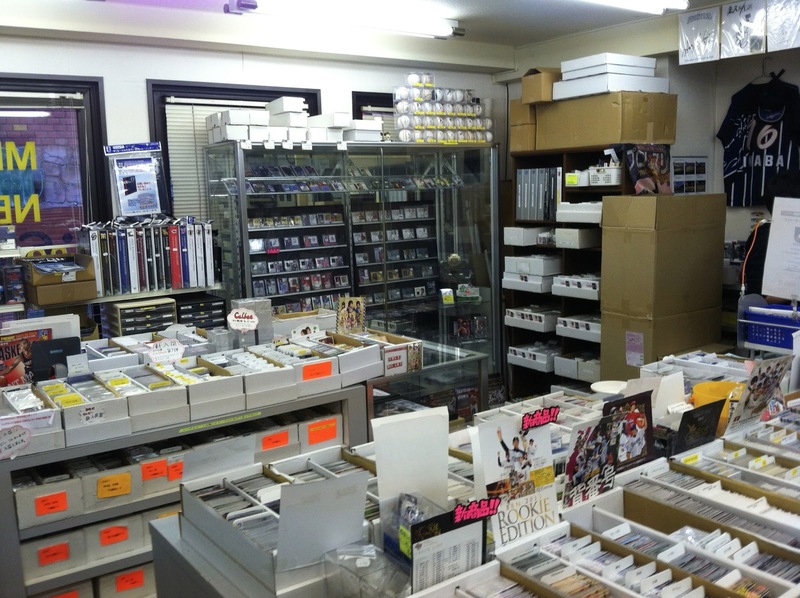 After leaving the store and grabbing a quick bite to eat (and dealing with an abrupt weather change), we headed over to Ueno to check out a couple more stores, Niki and G-Freak. Once again, the crowds in the area made navigation challenging. I parted ways with Ryan for the day and headed back to the Tokyo Dome, for the night's matchup between Japan and the Netherlands. The winner was clinching a spot in San Francisco and I was determined to stay awake to the end this time. 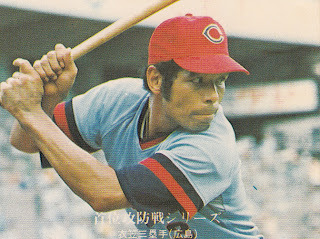 The game was never really in doubt, as Takeshi Toritani homered to lead off the game for Japan and begin a six home run onslaught that would result in a 16-4 mercy rule victory. Another great day. Monday was cold, clear and very windy. Perfect weather, I thought, for going up in the Tokyo Sky Tree. Unfortunately, everyone else thought so also. I got to Sky Tree a little after it opened at 8 and discovered an already long line waiting for tickets. After waiting for about 45 minutes and not really making any progress towards the front of the line, I decided that maybe this wasn't such a great idea. I ended up heading back to the Bunkyo Civic Center, where the view wasn't quite so high but it was free and available. The visit paid off - as I had hoped, the weather conditions had cleared some of the haze out of the region and Mt. Fuji was visible beyond the skyscrapers of Shinjuku. 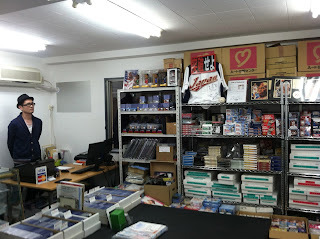 I headed down to Jinbocho to first check out the selection of baseball books at the Shosen Grande bookstore, then meet up with Ryan at Biblio, a fantastic vintage baseball book and memorabilia store nearby. 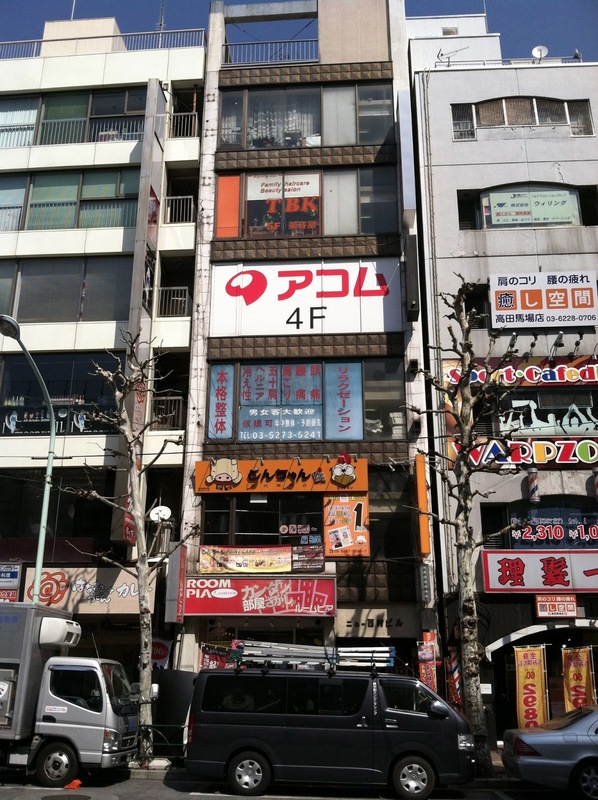 Next we headed up to nearby Mint Kanda, followed by a longer walk over to Akihabara, where we hit two more shops - Wrappers and Mint Akihabara. I then once again headed back to Tokyo Dome for another WBC game between Cuba and the Netherlands. The winner would be going to the semifinals in San Francisco while the loser would be going home. I once again met up with John Gibson for a quick cup of coffee before the game. And what a game! 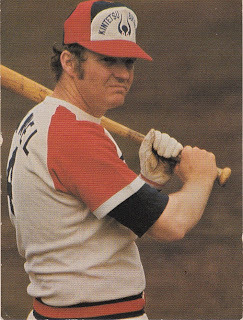 It turned out to be probably the second best game of the round (and best one that I saw all of at the Dome), with the Dutch winning the game in the bottom of the ninth. Yet another incredible day. Tuesday was Ballpark Day. First off was a quick trip to Jingu Stadium, home of the Tokyo Yakult Swallows. The Swallows weren't playing there this week, but the 68th JABA Tokyo Sponichi (Industrial League) Tournament was going on there and I arrived in time to watch the first couple innings of the 9 AM game between TDK and Kazusa Magic. 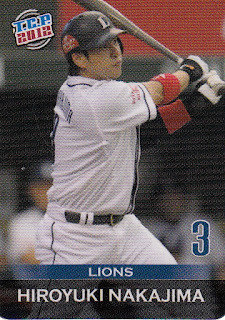 I then headed out to Tokorozawa to see an open-sen game between the Saitama Seibu Lions and the Chiba Lotte Marines at Seibu Dome. 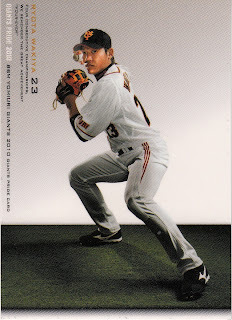 * Then back to the Tokyo Dome one final time for Samurai Japan's victory lapfinal game against the Netherlands. Still a great day, but much differently paced than the previous ones - nowhere near as much walking! *Had a moment on my way to Seibu Dome that proves what an incredible thing technology is. 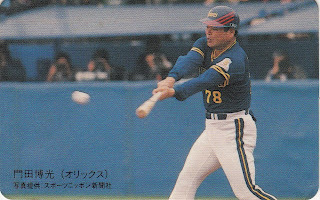 While on the train to Tokorozawa, I had sent a message to Deanna Rubin on Facebook suggesting that we call the feeling you get when you realize that you're the only Westerner at a sporting event "the Deanna Rubin feeling". She was online at the time and we started having a conversation via Facebook messages. When I reached the Tokorozawa station, I mentioned that the train to the Dome itself wouldn't be coming for another half hour. She told me that I should catch the next train to the Nishi-Tokorozawa station, as the trains there ran to the Dome more often. Once I got to that station, I said something to her about having to figure out which platform I needed to be on. She told me it was the same platform - even though I had never told her which platform I was on! She had this website up where she was in San Francisco with the train info and she already knew where I was and what I needed to do. It was a perfect example of Clarke's Third Law. 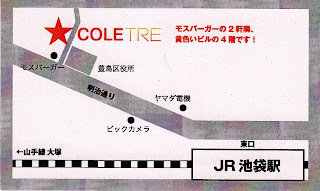 And Deanna's mastery of all things Tokyo-metro related. 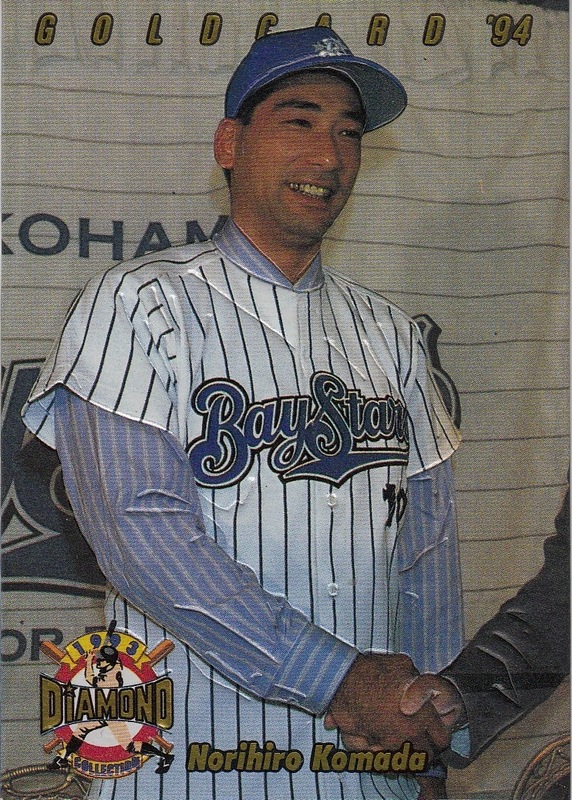 Really only one thing on the agenda for this day - a trip to Yokohama to catch another open-sen game, this time between the Chunichi Dragons and the Yokohama DeNA Baystars. 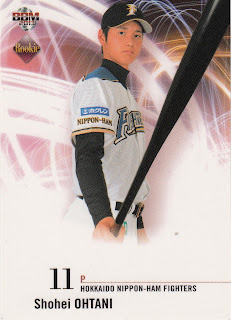 After the game, I stopped off at another card shop, Mint Yokohama, but was disappointed to find that they didn't have any of the remaining cards that I was looking for. I headed back to Tokyo and spent my only other evening not at the Dome at a wonderful restaurant recommended by the Japan Ball folks - it was probably my best meal in Japan. I was hoping to get organized this evening so that I would have time to do something Thursday morning, but I actually fell asleep early - between being very busy during the days and not particularly sleeping well, I was pretty tired and it all caught up with me. Still had a really good day. 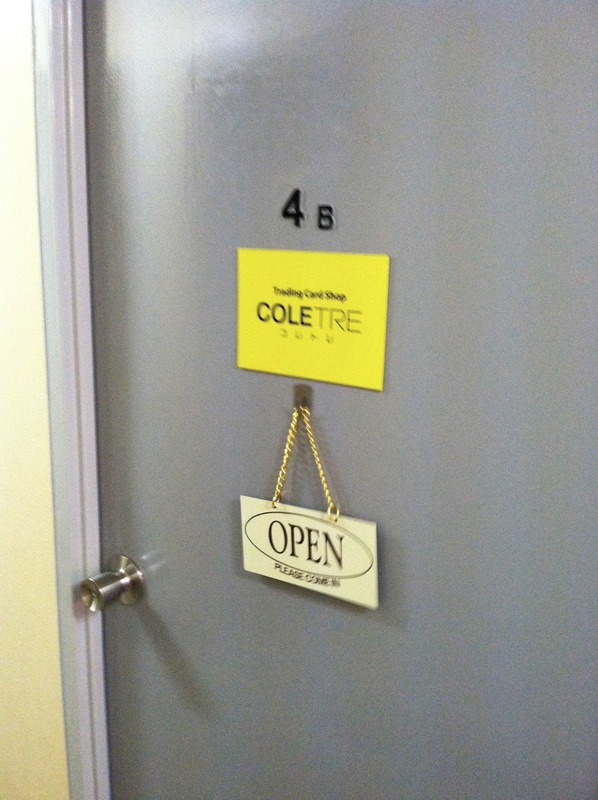 Having to get organized Thursday morning meant I really didn't have time to do much. I checked out of my hotel around 9 and headed back to Tokyo Station. I locked my suitcase in a locker and wandered around the station area for a couple hours until it was time to head to the airport. As it was early afternoon rather than evening (like it had been when I arrived), I was able to see the country side on the way to Narita. I was surprised to eventually see more rural areas than I had seen all week being in the city (it's unbroken urban sprawl all the way from Tokyo to Yokohama and while the Tokorozawa region doesn't have tall buildings, it's still building after building). It was scheduled to be a 12 hour flight back to Newark, but we apparently got a good tailwind and arrived nearly an hour early. After getting through customs, I caught an Amtrak train* to Wilmington, Delaware where I was met by my family. All in all, it was an amazing trip. 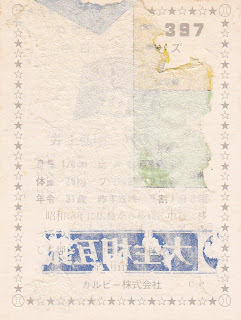 My only real regret (other than not being able to make it through the entire Japan-Taipei game) was that I didn't get a chance to check out the Imperial Palace Grounds or the Meiji Temple - I had planned on getting to the Temple early one morning, but I was just too tired to get moving in time. 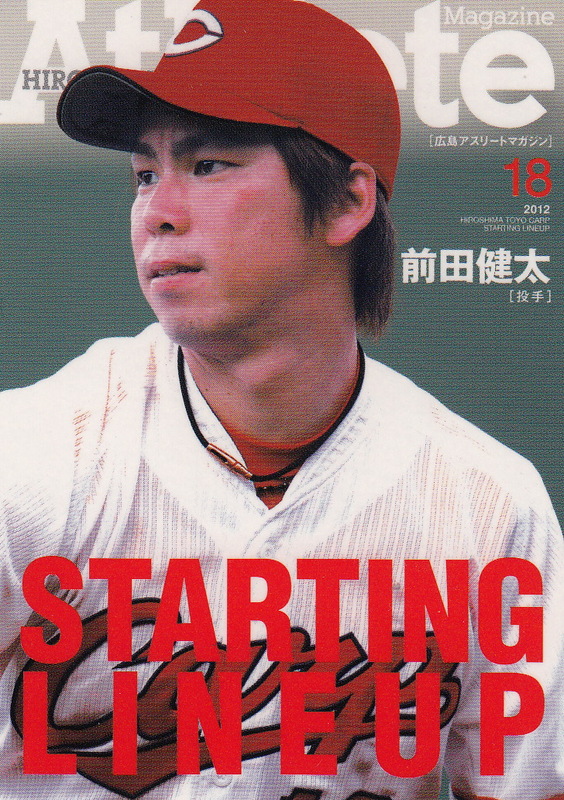 Kenta Maeda goes tonight for Japan against Puerto Rico. 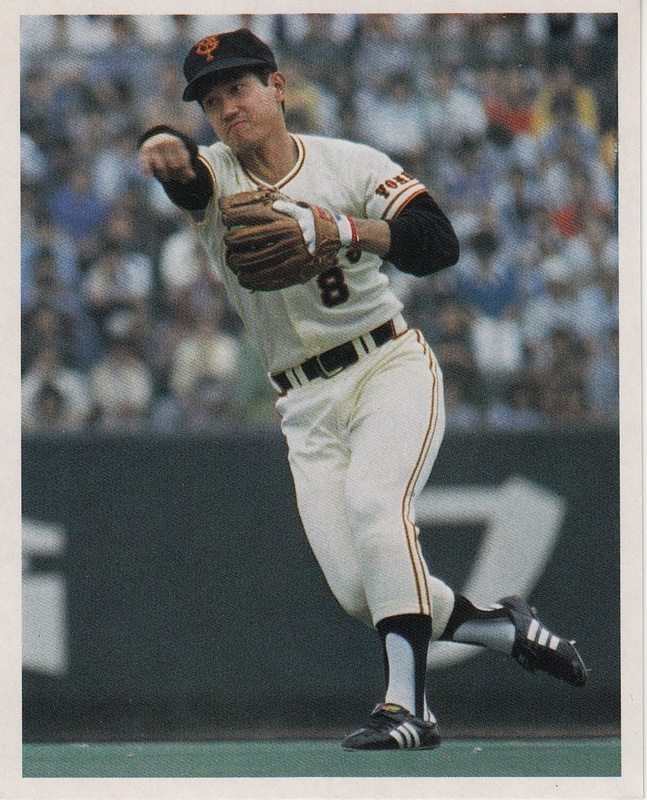 Maeda's got an odd little warmup routine called the MaeKen Taiso (H/T Yakyu Baka) that I got to see last Sunday at Tokyo Dome. Hopefully it'll make the broadcast tonight. I'm trying to get myself organized following the trip - trying to figure out the best way I should post stuff about it. 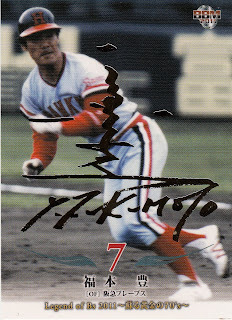 I thought I'd start with a This Card Is Cool style post showing off some of the coolest cards that I picked up during this trip. 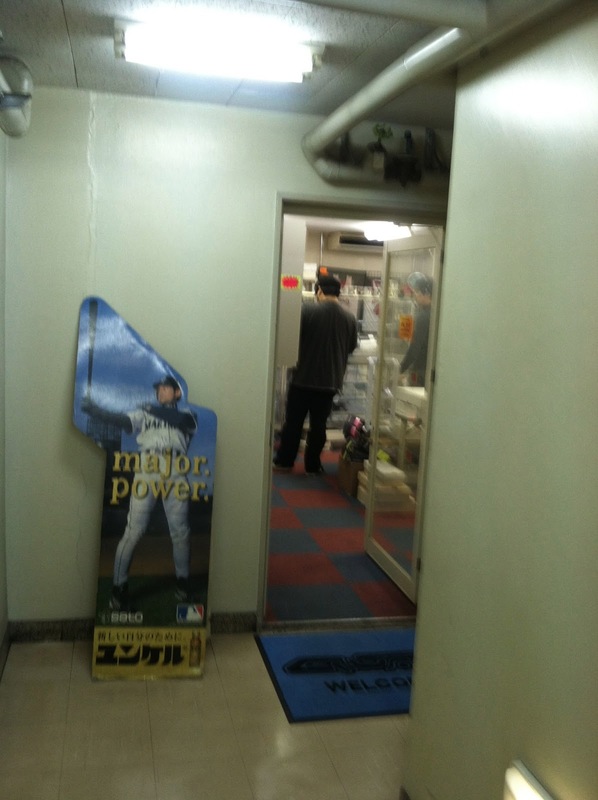 While leaving Seibu Dome, I noticed a capsule machine at the train station selling baseball cards. I put my 300 yen in and was rewarded with a capsule containing three small baseball cards and a little frame with a chain attached. 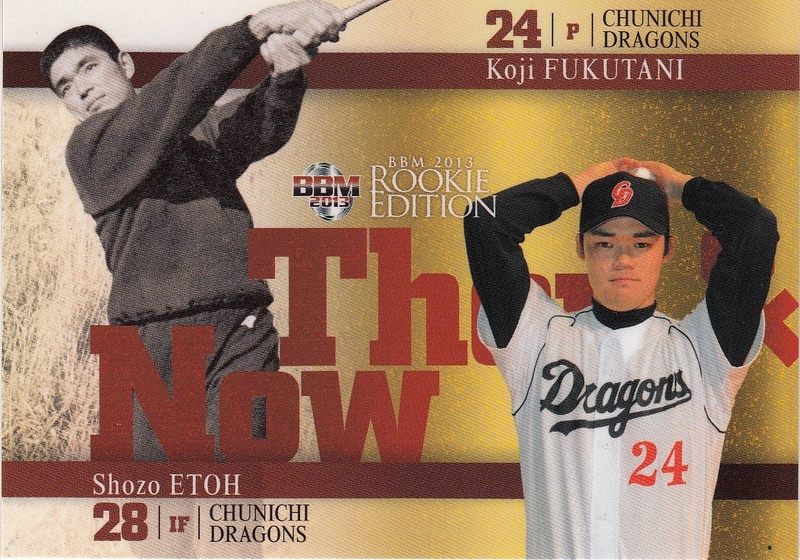 The cards appear to be published by Epoch and one card can be slid into the frame to make a key chain. They are called "Trading Carp Plate" (TCP) and are apparently available for all 12 teams. I plan to do some posts on the card shops and the ballparks I went to over the next week or so.